God has given us the key to overcoming covetousness. Its called contentment. Covetousness is a word we probably do not often use in our 21st century state of enlightenment. I can almost imagine some of you thinking “that is so Old Testament”. In fact if you are under the age of 40, or have never read the King James Version of the Bible you may not have any familiarity with this word at all. But its presence is very much alive and well in our world. Desire turns to coveting, coveting to immoral and sometimes illegal actions, and finally idolatry. Another old testament word with a new testament reality. Idolatry is when a believer knows the will of God, yet intentionally chooses their own desires instead. We chose to worship our desires over Gods will for us. God does offer an alternative. Contentment. It is not the easy path, giving in to our desires is always easier in the short term, but contentment offers long term peace and fulfillment. “I have learned”, would indicate Paul was not always content in his circumstances. This is encouraging because I am not always content with where I find myself. Many times I find myself desiring what I do not have, and not a few times this has led to actions that put me in the place of choosing what I want over what God wants. The secret of learning this I believe is found in verse 13. That even in our discontent, when we have legitimate needs if we refuse to obtain what we want the wrong way God will provide strength to be content with where we are. No matter what the situation might be. It always comes back to that doesn’t it? We are needy and weak, prone to trying to live life on our own, on our terms. And again and again we are reminded by Ephesians 2 when we were at our worst and now wherever we may find ourselves now, But God…. He forgives, and restores, gives wisdom and guidance, gives comfort and hope, and offers no matter what life brings, contentment. If we choose to accept it. He is always in control, always has our best interests in mind we can be content with that. 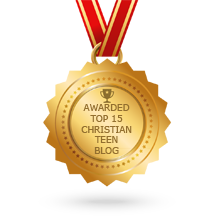 This entry was posted in A CLICK A BLESSING TODAY, Christian Teens Blog JF, CHRISTIAN TEENS BLOGS, Christian Teens Blogs - He is my Peace, Christian Teens Blogs - He is my Peace, Light and Refuge and tagged Contentment, desire, Idolatry. Bookmark the permalink.